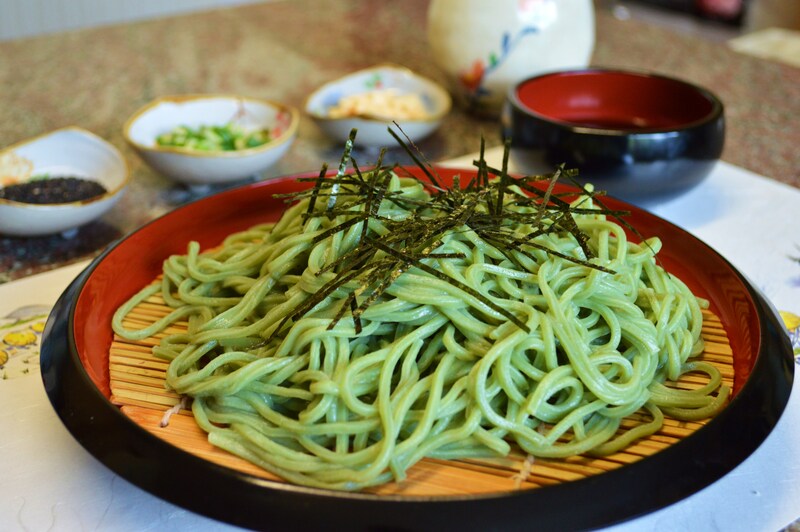 This is matcha soba – buckwheat noodles made with green tea powder but you can use normal soba noodles! In Japan, New Year is a big family occasion. Soba noodles (buckwheat noodles) are traditionally eaten on New Year’s Eve as they say that the long nature of the noodle represents long life. This simple recipe suggests having soba with dipping sauce, but buckwheat noodles are also great in a salad or served hot with tempura (click here for tempura soba recipe). They are a healthy alternative to egg noodles or wheat noodles and can also be enjoyed any time of the year! 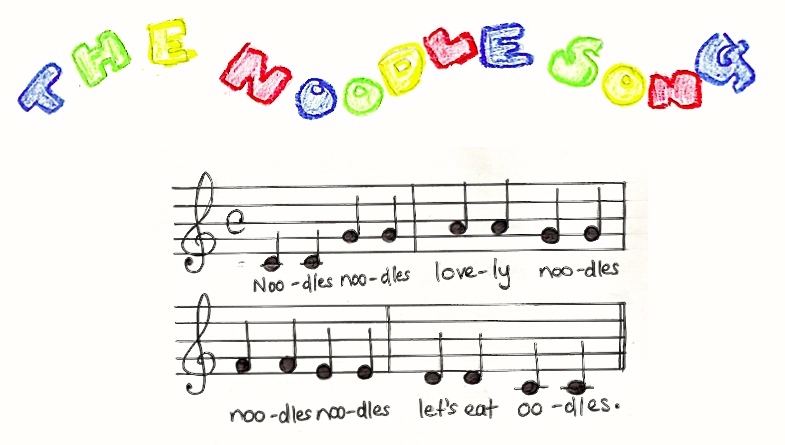 Slurp the noodles, sing the noodle song and live a long life! 1. Bring dipping sauce ingredients to the boil. Leave to cool. 2. Prepare toppings. Chop spring onions, grate ginger. Put sesame, ginger and spring onions in little bowls to serve. 3. Boil water in big pan. Add soba noodles. Cook for few mins (follow packet guidelines), stir occasionally. 4. When ready, drain, rinse under cold water. 5. Sprinkle over nori strips and serve alongside toppings with dipping sauce. *When eaten with dipping sauce or soup broth, the Japanese like to slurp their noodles. It’s considered the most delicious way of eating them. It’s true! Why not have a go?